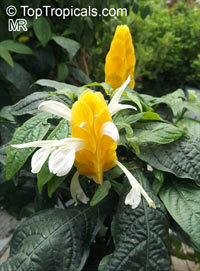 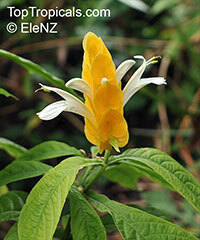 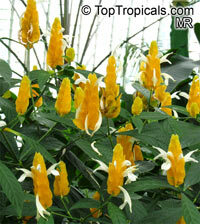 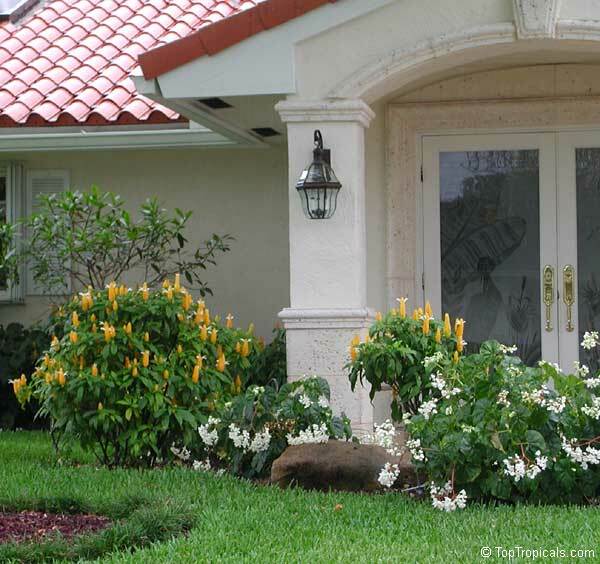 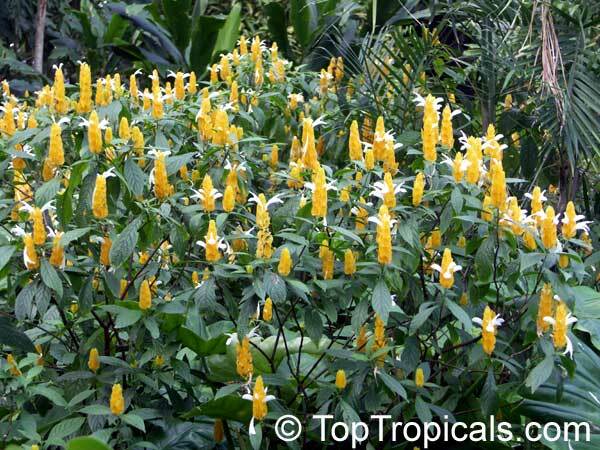 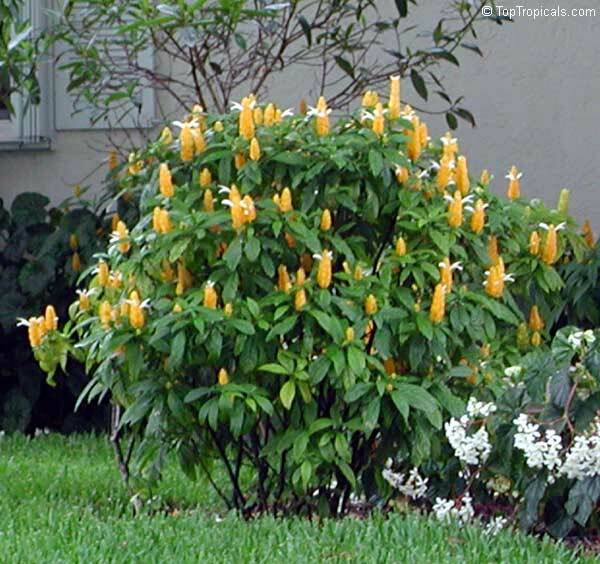 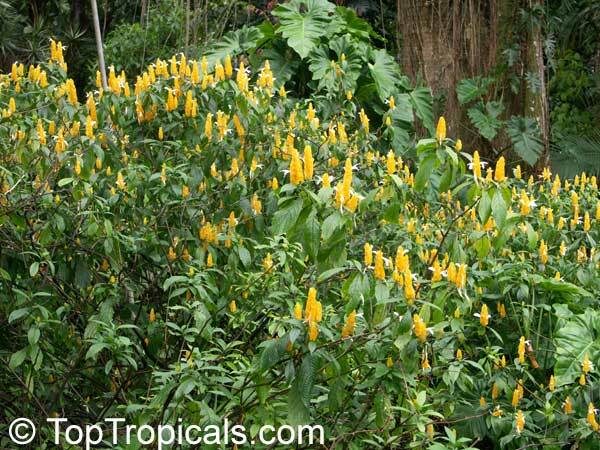 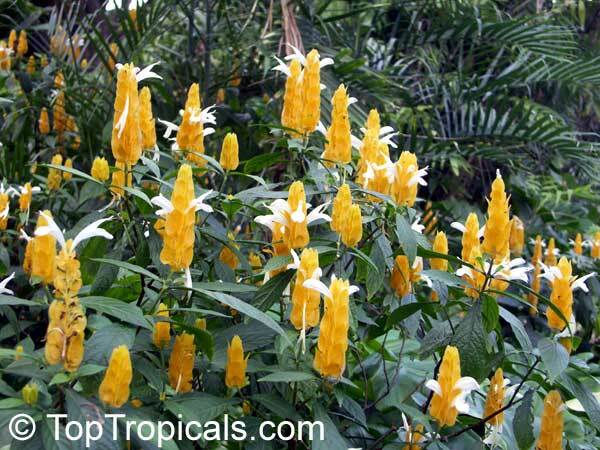 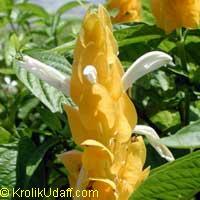 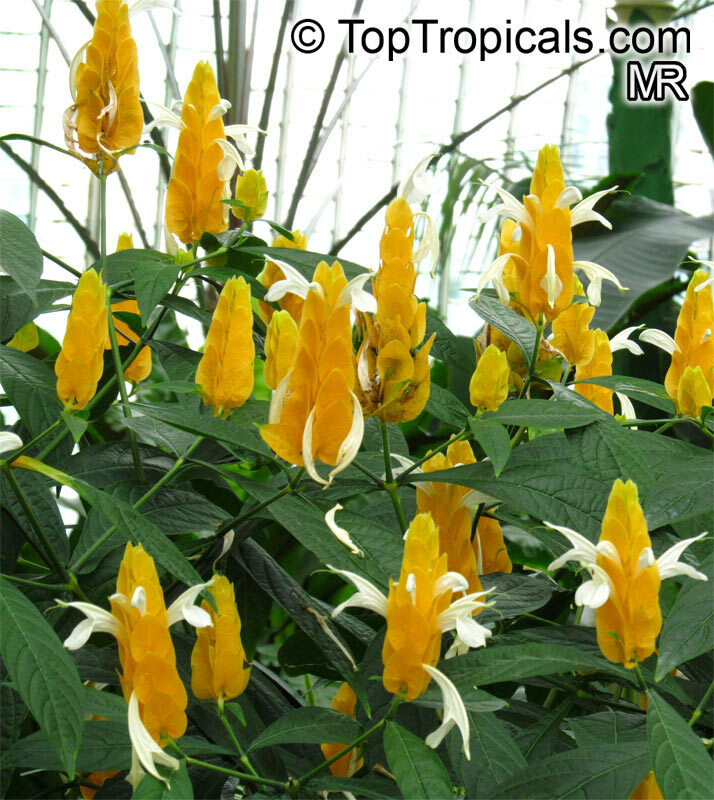 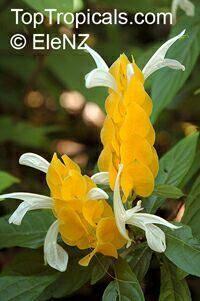 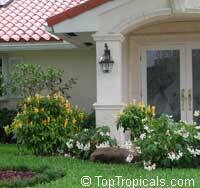 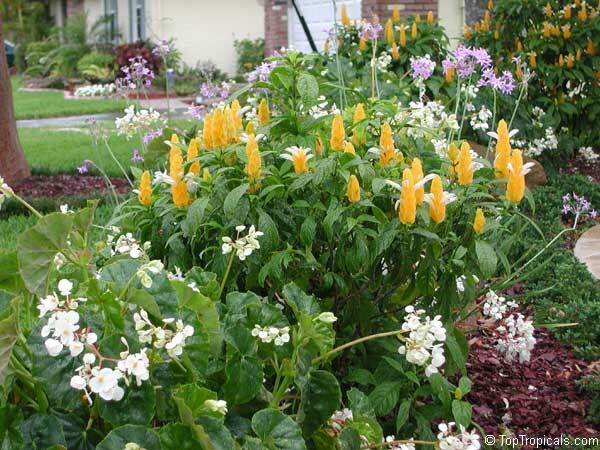 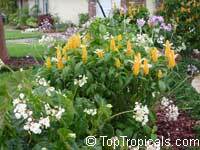 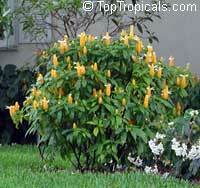 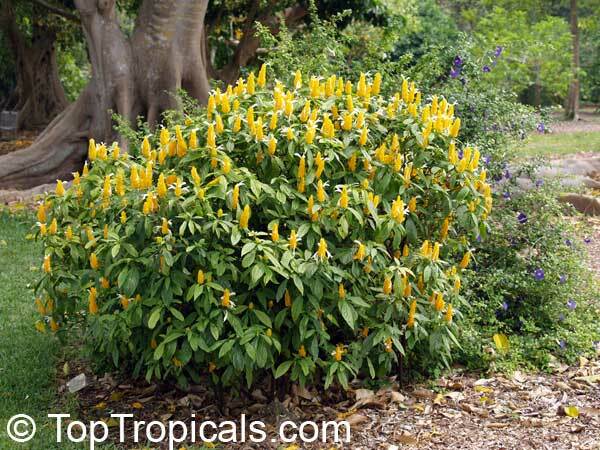 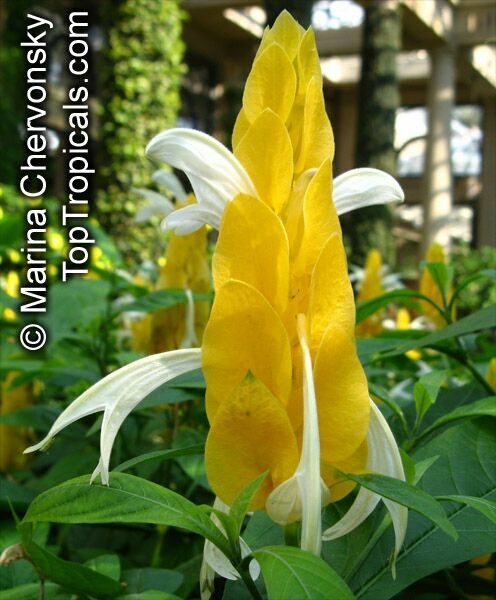 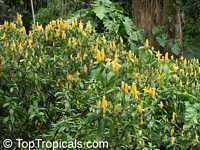 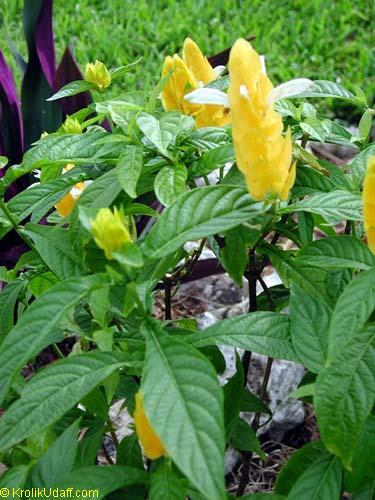 Closely related to the genus Belperone, this decorative shrub is sometimes popularly called the Golden Shrimp Plant. It grows to around 60 cm. 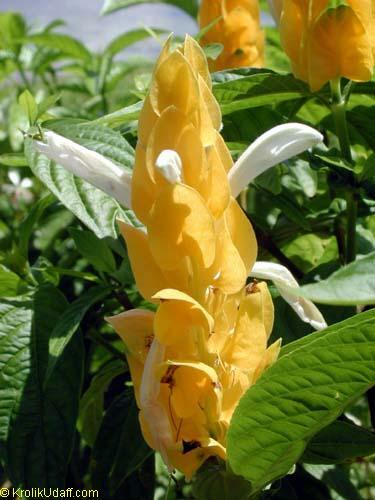 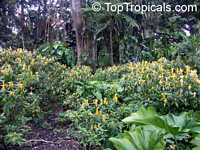 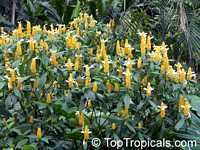 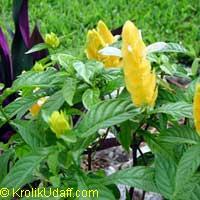 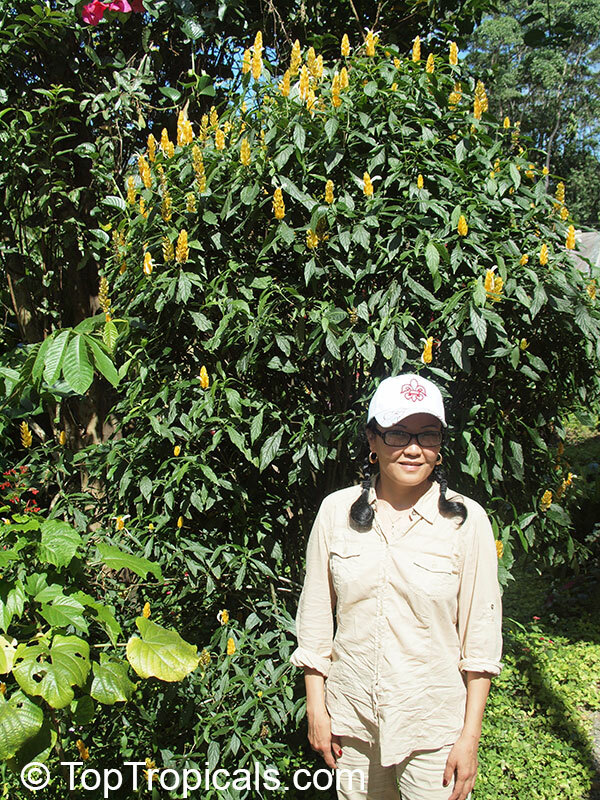 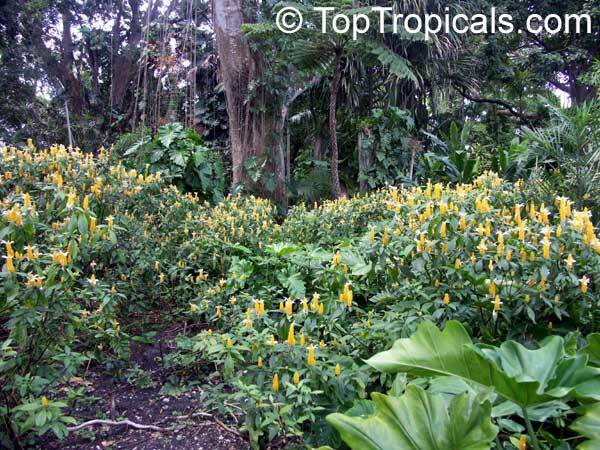 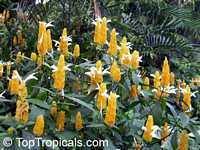 in height, has narrow, shiny leaves, and prominent erect floral spikes that are actually closely arranged bright yellow bracts from between which the white flowers appear over a period of time. Given full sun, the shrub flowers regularly in a garden bed and is also a useful pot plant for greenhouses in temperate countries. 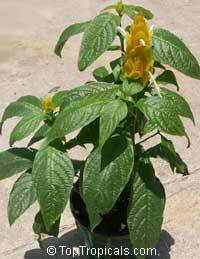 Propagation is by means of cuttings.